The HTC One M9 kind of got lost in the Samsung Galaxy S6's limelight at MWC 2015, but many of you are absolutely thrilled with it and are looking to place a pre-order as soon as possible. 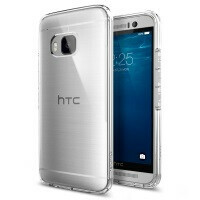 If you're going to pull the trigger on HTC's new metallic flagship early, why not add a case while you're at it? We get it - slapping on a case on this aluminum designer specialty of a smartphone always feels kind of wrong, no matter if it's a barebones transparent case or a big ol' TPU cover for heavy duty protection. But if you want to preserve the One M9's wholesome looks, and get a really good price on it later when it's time to upgrade, you should probably buy a case. So here are a few for those early birds among you. -Designed for the HTC One M9. Made by Poetic. -Soft touch feel on a durable flexi shell cover. -Made of 100% high quality Genuine Cordoba leather, prevents M9 slip from protective case. -Elastic silicone rubber materials provide extreme drop protection and scratch resistant. -Soft and flexible design with a clear back panel that retains the original appearance as much as possible. -Ultra slim and lightweight case. -Full access to all features without removing the case. -Lifetime warranty to all customers. -Made of flexible, elastic, and durable TPU material. every since i got the Neo Hybrid on my Nexus 5 i've been sold... was so excited to see they had one for the m9!